Dr. Chen was born and raised in Houston, Texas. She attended high school at St. Agnes Academy and went on to play collegiate soccer in Austin, TX, at St. Edward’s University. 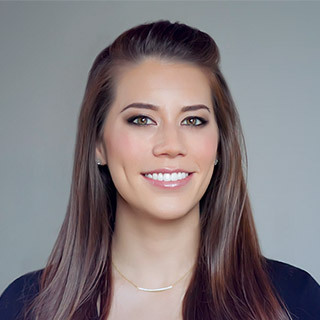 Following in her parents’ footsteps, Elizabeth returned to Houston and received her Doctorate of Dental Surgery from the University of Texas School of Dentistry where she graduated salutatorian in 2013. Immediately after receiving her Doctorate, Dr. Chen started her residency in Pediatric Dentistry at the University of Texas School of Dentistry in Houston graduating with a Post-Doctoral Certificate in Pediatric Dentistry and a Masters of Science in Dentistry in 2015. Elizabeth and her family love teeth — every member of Dr. Chen’s immediate family is a top dental specialist! In her free time, she likes to play soccer, run and workout, travel to places new and old, eat delicious food, and watch movies. Both Dr. Chen and Dr. Griffith are involved in numerous dental organizations which promote research, education, prevention and restoration of dental diseases. Among these are the American Academy of Pediatric Dentistry, the Texas Academy of Pediatric Dentistry, the Houston Academy of Pediatric Dentistry, the American Dental Association, the Texas Dental Association, and the Greater Houston Dental Society. All this work and certifications have helped both become prominent pediatric dentists in the Katy community. What does board-certified mean? It is a pediatric dentist who has successfully completed a voluntary examination process provided by the American Board of Pediatric Dentistry. This certification process evaluates the pediatric dentist’s qualifications as a dental professional in the pediatric specialty. Completion is also an affirmation of the pediatric dentist’s pursuit of continued excellence and learning in their work. Because Dr. Chen values providing quality care to her patients, she is a proud Diplomate of the American Board of Pediatric Dentistry. Dr Chen and all of the staff went above and beyond to help my 8 year old who had an anxiety attack when we came in for x-rays and a cleaning. They worked with her to help calm her down, explain everything in a way that she understood and really went above and beyond in helping my child. They truly were amazing! – Megan L.
I have been bringing my children here for a number of years now and Dr Chen is phenomenal! Every experience they have had has been pleasant and my kids never left feeling uneasy about their dental visit. The dentist and staff are extremely kind and care for their patients. I would highly recommend this office if you are looking for excellent quality and an overall good experience. – Attiya H.
They’re awesome! I’ve been a patient here for 10+ years and Dr. Chen has done an amazing job with diagnosing any problems and regularly doing a composite veneer on my front teeth. She goes above and beyond to provide great service. They’re honest and don’t charge any hidden/added fees. Very minimal wait times too. – Stacie N.
Through her meticulous work and attentive service as a pediatric dentist, Dr. Chen has helped Kids Healthy Teeth gain an amazing reputation in Katy, TX. In 2017, the pediatric dental practice was awarded as the winner of Living’s Best Of Katy Reader’s Choice pediatric dentistry. At Kids Healthy Teeth, Dr. Chen strives to provide genuine compassion and care to all her patients. She and her staff are committed to providing strong, beautiful smiles to her patients through dental education and preventative care. Above all, she values the health and relationship of her patients.